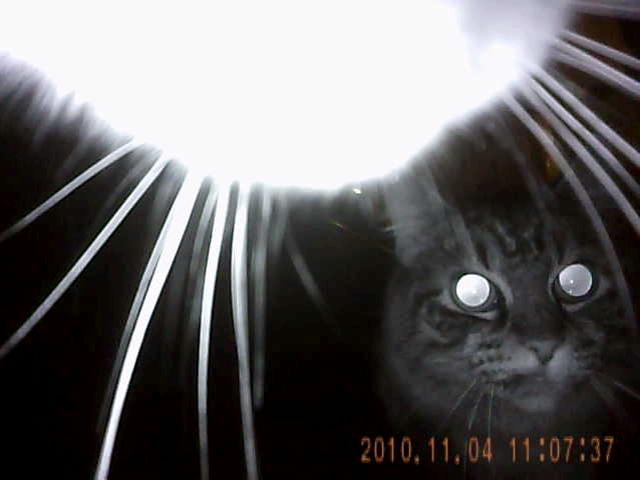 The University of Georgia researcher whose “Kitty Cams” project made national news last year will detail some of her findings in “The Effects of Cats on Urban Wildlife” at the Oconee Rivers Audubon Society’s next meeting, set for 7 p.m. Thursday, Feb. 7, at Sandy Creek Nature Center. Dr. Sonia Hernandez and her colleagues fitted 55 free-roaming, suburban Athens cats with point-of-view cameras to see how often the felines stalked and caught wildlife and what kinds of dangers the cats faced “out there.” The researchers found that cats spend a lot of time crouching under cars and about half – mostly young males – kill reptiles, rodents and other wildlife. The study also found the cats hung out with other felines, crossed a lot of streets, and explored some unusual low and high places. Hernandez, an assistant professor of wildlife disease who holds a joint appointment in UGA’s Warnell School of Forestry and Natural Resources and the College of Veterinary Medicine’s Southern Cooperative Wildlife Disease Study, received funding for the project from a number of sources, including a conservation grant from the Oconee Rivers Audubon Society. The meeting will be held in the Nature Center’s newly expanded Education and Visitor Center, formerly the ENSAT Center, 205 Old Commerce Road off U.S. Highway 441 north of Athens. To reach the center from the Loop 10 bypass, exit at U.S. Highway 441/Commerce Road and turn north toward Commerce. Go approximately a mile, turn left at the Sandy Creek Nature Center sign and go to the end of the road. Turn left at Old Commerce Road; parking for the Education and Visitor Center will be on the right.